Goudargues is located only 1.5km from Maison Broche et Clos Neuf. It is known locally as the “Venise Gardoise”, because of the canal that flows through its centre. 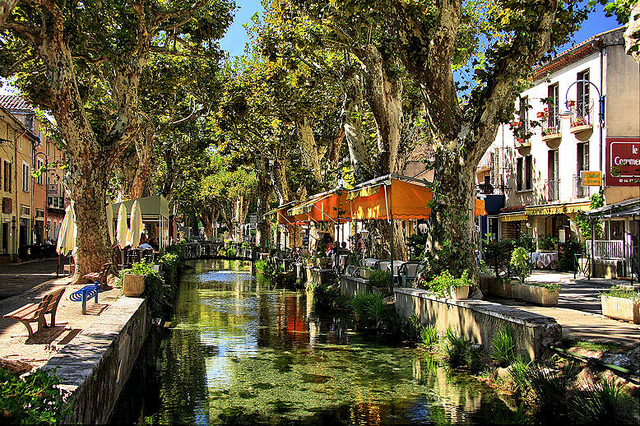 Restaurants & cafés line the banks of the canal shaded by beautiful trees. In 800 A.D., Benedictine monks from Aniane founded an abbey around the lake of “Gordanicus”. This lake is near the Cèze and was fed by natural springs which now flow through the canal. This abbey is the basis of modern Goudargues and where its name derived from. 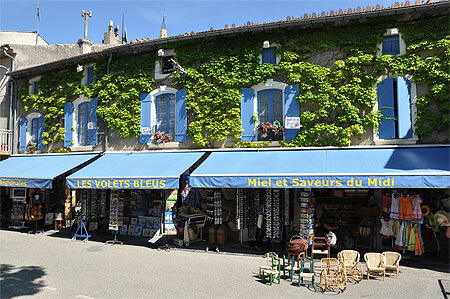 Goudargues has all essential shops and services to ensure you have a great holiday. Goudargues has a variety of cafes, bars & restaurants offering comfortable outdoor and indoor seating. Whether its pizza, moules-frites, entrecote or a three course meal, you can find it in the diverse food Goudargues has to offer. For our personal favorites, check out our recommendations HERE. Every Wednesday there is a market offering olives, cheese, wine , local crafts & much more. Products are typically sold straight from the producer.